Ladies will love the Lucky Lady's Charm Slot game. Starting from the pink background to symbols used such as lucky rabbit's foot and the ladybug, its clear this slot was designed for girls. This slot machine uses 5 reels 3 rows and 10 pay lines, and because women love surprises a special feature of 15 Free Games has been introduced. GreenTube, a subsidiary of Novomatic Interactive has released the Lucky Lady's Charm Deluxe Slot (Impera Line) on 22 January 2010. Since release date, this slot has been enjoying success in European countries and the United Kingdom as well. Due to its user-friendly interface, it is much easier to pick up than to let go, amassing a large fan base over the years. As the video above shows Lucky Lady's Charm is a simple slot machine with simple rules and fast gameplay. The similarities between Sizzling Hot Classic and Book of Ra Slot are obvious. There are two features that increase the fun factor, these are the Free Games Features and the Gamble which is present in all Novomatic slots. The symbols used in the Lucky Ladies Charm Deluxe are all related to the theme of the slot which is luck. A standard set of 9, 10, J, Q, K, A are used as lower pay value symbols. The symbols with higher payout value are the lucky horseshoe, lucky golden coin, the ladybug, lucky rabbit's foot, the lucky clover. The Scatter Symbol is represented by two hands holding a magic ball while the highest paying symbol is the Lucky Lady. Depending on which version is played there are various interface differences. At various sites, the slot can look differently, but the symbols sounds and themes are unchanged. The game starts with setting the bet. Setting the number of lines to bet on and the bet/line results in a total bet value. The next step is to start the spin phase during which the outcome of the symbols is determined. This is done by the RNG system every time the spin or start button is pressed. Pressing the start button again during the spin phase stops the reels from spinning, there is also an autoplay feature included. Winning combinations are calculated from the leftmost reel to the right. Three or more symbols of the same type are required to make a win. Some symbols can make a win by only two symbols match, these are the 9, the lucky rabbit's foot, the ladybug, the Scatter and the luckiest lady herself. On a 1 bet/line getting the 5 blonde miss symbols will result in winning 9000. Before talking about the bonus features the Lucky Lady's Charm Slot hold it's important to talk about the enabling symbols. The blonde charming lady of luck can substitute for all other symbols except the scatter. The Scatter Symbol triggers the lucky win charming feature and enables 15 Free Spins with extra 3 multipliers. All wins are multiplied three times during the feature. Winnings during the free games or free spins add up. In addition to that, more free spins can be enabled during the feature. This gives the Lucky Lady's Charm Deluxe slot the opportunity to compete with modern slots in terms of features. What better way to start playing slots online than with a bonus. Let's take for example a slot game like Lucky Lady's Charm, that is available online and for which first deposit bonuses are plenty available. The most common first deposit bonus looks something like this: 100% up to 250 Euros or equivalent on first deposit. This simply means that new players money will be doubled up to a limit of 250 Euros. There are also promotions available for Lucky Lady Charm slot. Special promotions usually come with a time limit and can grand free spins, cash prizes and more. The most common sites where promotions are available are the community slots kind. A few examples would be PlayOJO and Casumo, where players are treated as part of a community rather than a traditional gambling site. To take a look at the bonuses and promotions we talked about taking a look at our page below. This is the free version of the original slot that was released before Lucky Lady's Charm Deluxe. Start playing for free with 15 000 starting credits. The minimum bet here is 9 and the maximum is 4500. The bonus games feature is included along with the Gamble or Double Up. Running out of credits? Simply reload the page. Play Lucky Lady's Charm Slot, Ancient Egypt Slot and more with a BONUS! An example of a simple win with three 10s. Winning combination in Lucky Lady Charm with substitute symbol. The following articles are quite interesting and offer knowledge related to Lucky Lady's Charm aspects. More precisely, from an in-depth guide to electronic slot machines to volatility and random number generation to percentages. 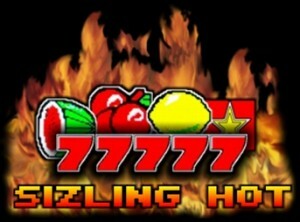 Can significantly increase the chances of winning at any slot game. Being a game older than 10 years, the Lucky Lady's Charm Deluxe Slot can still entertain and holds some replay value. Play this slot for free is less effective than playing it for real cash. The aspect of risking money or winning money is always more appealing. The added extra features are the best Novomatic had to offer at the release date. Bonus Games and Gambling are an essential part of any online slot machine. What our team liked about the game. It's simple and dynamic like most Novomatic or GreenTube games. The color set, background, symbols and sounds represent the lucky spirit of the game accurately. What we didn't like. The animations are way outdated and could use some improvement.